Have you ever heard someone say their dog has a strong prey drive and wondered what they meant? After reading a lot about dog drive types, I understand why some dog trainers and behaviorists rely on them to motivate their client’s dogs. But just how useful are they? Can they really help you better understand and train your dog? First, let me explain what drive types are. There are three basic canine drive types that make up a dog’s personality, character or temperament, so to speak. 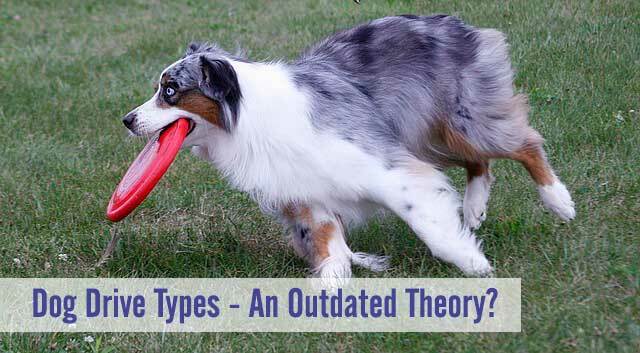 Although some theories further break down the three types, they are the motivators that cause a dog to respond instinctively in different situations. Dogs inherit all three drive types and act on them at different times, but one or two drives may be stronger or more dominant, depending on the dog and breed. Here’s a breakdown of the three drive types. This drive is associated with tracking, stalking or hunting prey and also the killing and eating of prey. Along with using their sense of smell, vision and hearing, chasing moving objects is a big trigger for dogs with high prey drives. Some other behaviors related to prey drive are: pouncing, jumping, shaking, tearing or ripping things apart, digging, burying objects, stealing food, enjoying chasing games (and tug-of-war) and high-pitched barking. Dogs with a strong pack drive are very social and enjoy interacting with humans and other dogs. They like playing, being petted and being groomed. They’re typically easier to train because they enjoy working with people and they easily interpret our body language and cues. They’re good at following the rules and they also follow you around the house. The pack drive is also related to mating and reproductive behaviors. The defense drive is all about survival. It’s broken down into two self-preservation types, fight and flight. Fight Drive – This drive is observed in dogs that some people might call dominant, but most of these characteristics show up after a dog reaches sexual maturity. Dogs with a high fight drive are confident, standing erect and often staring down people and other dogs. They may guard their food, toys, family or territory. 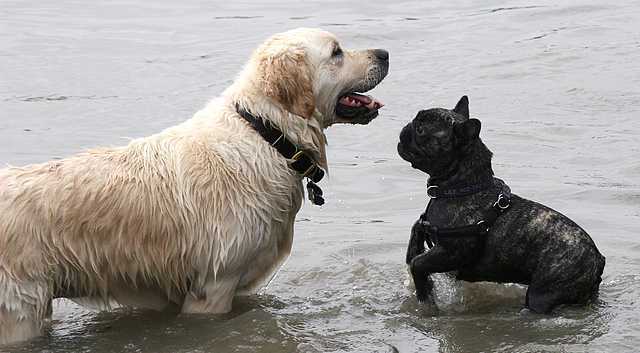 They enjoy challenging games such as tug-of-war more than being petted or groomed. A dog with raised hackles from the shoulders and up the neck are displaying this type of drive. Flight Drive – The flight drive is seen in dogs that are often characterized as submissive or fearful and it’s a common trait seen in younger dogs. They display a lack of confidence with their body language and actions. Dogs with high flight drives may freeze, cower, rollover to expose their belly, run away, tuck their tail between their legs or even urinate when stressed or when greeting strangers or new dogs. A dog in flight drive may also have raised hackles, but from the shoulder area going back towards the tail. It’s interesting that many dog bite injuries come from fearful or insecure dogs with high flight drives. Are Drive Types Really That Useful? Some trainers and behaviorists base their training methods on drive types and they tailor the training to the particular drive of a dog. That makes sense. After all, if you understand what motivates a dog, it’s easier to work with their nature or personality. Trainers will also attempt to decrease a particular drive that might be counterproductive in certain types of training or situations. 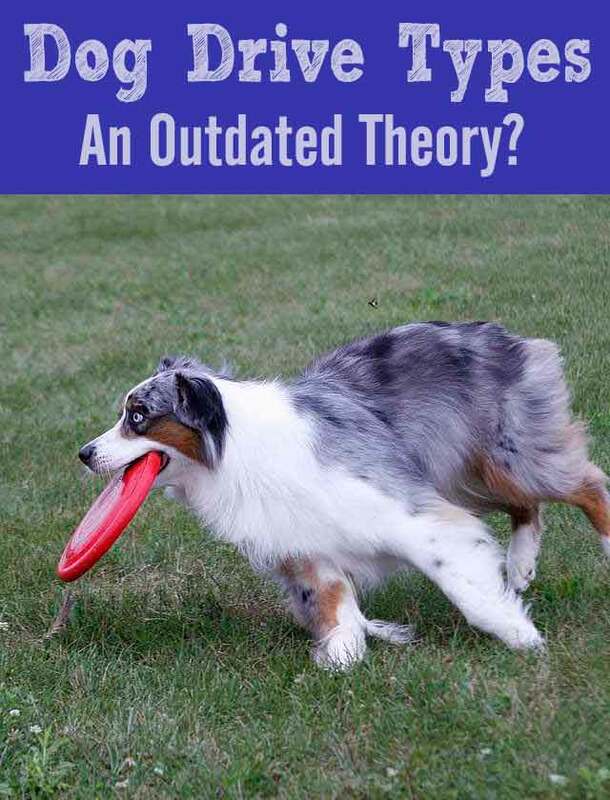 Others argue that the theory of drive types is outdated and understanding dog behavior is much more complicated than breaking down their personality or instinctual tendencies into a few simple groups. That also makes sense. Most dogs display strength in all three of these drives depending on the circumstances. Dog behavior can also evolve over time and can change depending on the environment, as well as the people and dogs they spend time with. What’s Your Dog’s Drive Type? You can probably guess your dog’s drive type from the descriptions above, but if you need a little help, try taking this Canine Psychometric Test from K9 Magazine. I took the test and it confirmed my thoughts about Haley. She has a strong pack drive, medium-high prey drive and low flight defense drive. When she was younger though, she had a much higher flight defense drive. I think it’s interesting to learn about dog drive types and they help explain a lot about dog behavior, but I do feel they’re probably overly simplistic and outdated. If there’s one thing I’ve learned from my fellow bloggers, it’s the fact that every dog is different and you can’t train or explain dog behavior with a single theory or method. What do you think? Leave a comment below! I think breeds have different drives but even within the breed the intensity varies. General drives are a good guideline and starting point, but you have to really know your own dog and what their actual drive intensities are. We have strong prey drive but for squirrels and rabbits, no interest in birds, ducks, etc. We also love our pack. Like everything in life, these drive categories are there as a basis for guidance but have to be modified as it is not a one fits all thing. Those rabbits and squirrels are not big fans of dogs with a high prey drive, right Emma? I can tell you’ve got a high pack drive too from how cooperative you are with all your wonderful photo shoots.? Another great post! May I share this on my own site? Full attribution and links back to your site, of course. Absolutely, Susan! I’m glad you enjoyed the post today. ? We have a pet rabbit and so in 2013 when we adopted Ruby, it was very important to find a dog with low prey drive. We worked with foster based organizations who were willing to bring the dog to our house to observe how he/she would react to a rabbit – obviously, we supervised all this extremely carefully. Ruby showed absolutely no interest in Lulu, our bunny, and still in three years has never even barked at her. She definitely has more of a pack drive. That’s wonderful that those organizations were willing to bring out dogs to evaluate them with your rabbit. You probably knew right away when Ruby came for her visit that she was the one! Scent all the way! Very interesting post. I think it’s a combination. As long as positive methods are used, knowing what motivates a dog and how they respond (quick, slow, etc.) can certainly help. Thanks, Tonya! It definitely gives you an advantage instead of assuming the same training methods will work for all dogs. Thanks for stopping by today.? Fascinating stuff! And it confirms what I always knew: My Boston terrier is a basket of contradictions. Her strongest scores were in “fight” and “flight.” Equal scores in both, low scores everywhere else. I wonder what a trainer would do with THAT! This article is so interesting – I live with two dogs and both have different defense drives. Sherm is flight and Walter is fight. Given that they are walked separately. 🙂 Both are heavy on the pack drive though — which is great when were out for hikes. I guess that could be a handful, walking a high fight and high flight dog at the same time, especially when you run into other dogs. I hope Sherm enjoyed all those hotdogs and hopefully he had some positive interactions while visiting the pumpkin patch. You’ll have to let me know the test results of your parent’s affenpinscher. That should be pretty interesting. Thanks for checking out the blog post, Carlotte!? Very interesting to read current theories if drive helps with training. I have a mixture in my household. I can’t believe how many drive types some of the theories have now. I guess it’s kind of like personality types in people. So interesting! I don’t like to label dogs too much but it’s helpful to recognize these attributes. My Husky has a high prey drive and is more dominant while my other dog has low prey drive and is much more submissive. This helps when I match them up with playmates. It sounds like Icy and Phoebe are perfectly matched to be best buddies!?? You’ll have to let me know which drive types are dominate in Harley and Jax! Interesting! I’ve worked with 2 different trainers with Rita and although both were to help with her reactivity, neither really related it to her “fight” drive. I just took the test and she was fairly pretty low on flight and pack, a bit higher on prey, and her highest score was fight. But she’s part German Shepherd, so that makes sense for her. Unfortunately, I think a lot of trainers fall back on the “exercise fix” when things don’t seem to be working well. I read something the other day that suggested that too much exercise can contribute to problems as well. Everything in moderation, I guess.? Can a dog have a mix of drives? Rodrigo has a high prey drive, based on your description, but he also has a high fight drive. I can’t take him to the dog park because he steals toys and challenges other dogs. The fight drive part started after he reached sexual maturity; before that, the dog park was a fun place for us to go. When I look at each of my dogs, I really don’t know what bucket they fall into. But I do know that each requires different training. Definitely, Haley has a mix of high pack and pretty high prey drives. Rodrigo sounds a lot like Jackie’s dog Rita. Something I just thought about…I wonder if dogs can change their drives when living with multiple dogs. You’ll have to let me know if that happened with any of your dogs.? Hi Kimberly. I feel like the authors use of terms is very confusing. 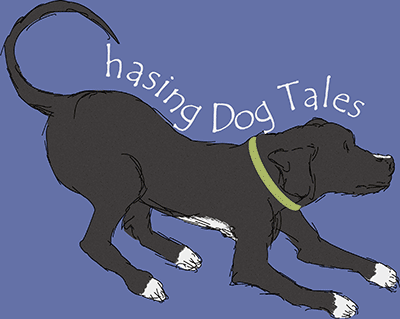 I haven’t been on Patricia McConnell’s site in a while but she’s one of my go to resources when it comes to dog behavior. I also like Zak George on YouTube. Yes, some dog’s have a higher prey drive than others. Ex. Any terrier, or Doxie because that’s their job. George is part Jack Russell and Phalene. He knows next to nothing about being a papillion but he knows how to keep us mouse free. He’s also fear aggressive and he has a pretty bad case of separation anxiety. A dog that has submissive behavior isn’t a submissive drive. Some breeds can be submissive. It’s a nature vs. nurture issue for me.